(Long Island, NY) Suffolk County Police today arrested an East Northport man for leaving the scene of a motor vehicle crash that seriously injured a woman last year. 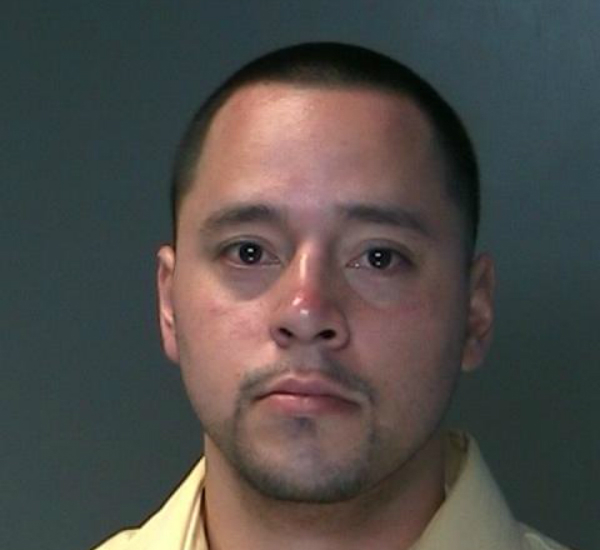 Alvaro Alfaro was driving a 2003 Ford Explorer southbound on Park Avenue in Greenlawn on October 13 when his vehicle struck a 1998 Dodge Neon at the intersection with Lantern Street at approximately 12:30 a.m.
Suffolk County Police today arrested Alvaro Alfaro, an East Northport man, for leaving the scene of a motor vehicle crash that seriously injured a woman last year. Photo Credit: SCPD. The driver of the Neon, Sulma Rivas, of Brentwood, was seriously injured and her passenger, Macia Castro, of Central Islip, suffered minor injuries. Alfaro, who fled the scene on foot, left a puppy in his vehicle. The puppy, which was not injured, was turned over to the Town of Huntington Animal Shelter. Alfaro, 26, of 426 5th St., was arrested today at the Second Precinct and charged by Second Squad detectives with Leaving the Scene of an Accident with Serious Injury, Aggravated Unlicensed Operation of a Motor Vehicle 2nd Degree and Circumventing an Interlock Device. He will be arraigned today at First District Court in Central Islip.